In the vein of Twenty Feet from Stardom and Girls Like Us comes an authoritative narrative history of one of the most powerful segments of popular music-black female recording artists-told through the stories of some of the most famous and beloved female stars of our age, including Aretha Franklin, Gladys Knight, Whitney Houston, and Janet Jackson, from the former editor-in-chief of Billboard and Vibe magazines. 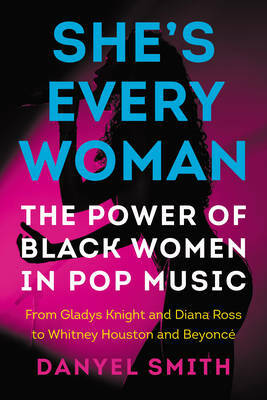 Drawing on hundreds of original interviews and her own expert insights gleaned from years of personal and professional experience, Danyel Smith charts the evolution of African American women in popular music, from "race music" "girl groups" and backup singers to the queens who have risen to the pinnacle of the entertainment industry, such as Whitney Houston, Beyonce, and Rihanna. Smith begins her story in the 1950s and touches on the major stars of each decade to today-including many whose contributions have long been forgotten-bringing into focus some of the most unforgettable voices of the last six decades. She's Every Woman weaves together the lives of these marquee talents, the men who promoted their success or sometimes held them back, the industry insiders who orchestrated their images, and the role of fans in propelling them to stardom. As she examines their careers and their experiences, Smith makes clear these women's powerful influence on the music industry and popular culture itself. Throughout this lively survey, Smith speaks to larger questions of race, gender politics, and the changing landscape of entertainment. The result is a fascinating portrait of American culture, the black experience, the changing face of the ever-evolving music industry, and fresh truths about female empowerment.